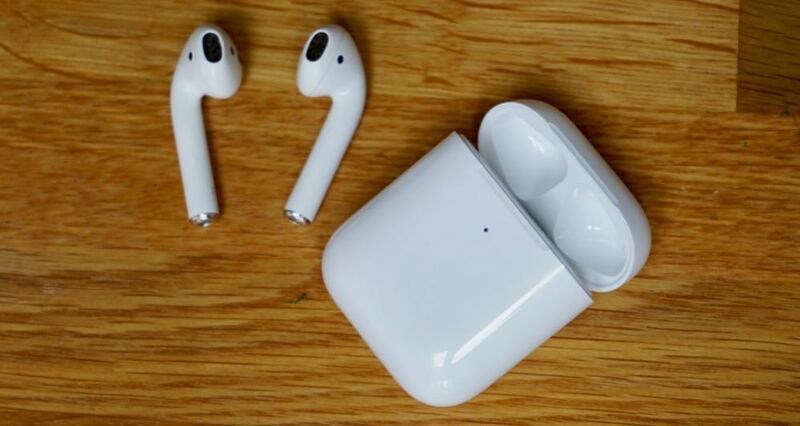 Apple’s AirPods originally launched back in 2017 and quickly they could be seen in the ears of a huge number of commuters on the mass-transit systems of cosmopolitan cities around the world. To many commentators this came as something of a surprise, though looking back it’s hard to see why. Yes, tech fans the world over had been horrified when Apple removed the old 3.5-inch headphone jack and didn’t immediately offer something like this in the box, and yes, at first, they did look like they’d just fall out all over the place but, in practice, the AirPods garnered grudgingly positive reviews. They sound good – much better than you might imagine given the quality of Apple’s standard AirBuds – and they maintain that all-important Apple look. They certainly looked a lot less stupid than the Bluetooth headsets much-loved by noughties estate agents, and their rapid spread eliminated any feeling of being a weirdo like a Google Glasshole. In terms of ease-of-use and connection quality, Apple’s system beats anything else hands-down, too. Just tap the headphones on your iPhone and the thing pretty much deals with itself. They can quickly be switched to your Apple laptop, too, thanks to the Bluetooth dropdown menu in the top-right. The thing is, though, they are very expensive, and while wireless charging is a legitimately useful new feature, the other updates to the 2019 AirPods are, well, not. Yes an hour longer on the batteries is not to be complained at, but there were very few times I ran out of power before since the lovely little case in my pocket kept them going. And Siri? Well, to be honest, even at home alone with an HomePod and I often prefer to use a screen. I’m unlikely to ask Siri anything in public. Is that just because I’m British? I don’t think so. Thankfully (and a little bit surprisingly) Apple has people like me covered; I can replace the charging case without having to stump out for new headphones – slicing a £159.00 bill down to £79 in London (equivalent savings elsewhere). Wireless charging of the case is simple. Just pop it down on it’s back (with the light facing up) onto a Wireless Charger and – after a brief pause – you’ll get a confirmatory green flash from the indicator light (and of course any light on your base-station will glow too). That’s it. In every other respect, operation is as before and the case feels no different. I can tap the button on the back to check the current charge (There wasn’t even any setup. I just popped my old AirBuds into the case and they started to charge. From Apple’s perspective this is such an insignificant product that it isn’t even worthy of an Apple sticker in the box. Wired charging is still possible, just as before, via Apple’s “Lightning” connector (as found on all iPhones since 2012). Those expecting to see USB-C here (as a hint to what may yet come with future iPhones) were thinking the wrong way around – Apple wouldn’t give the game away so easily. They’ll want folk like me to fill pages with speculation before the September phone announcement. Choosing the case was very easy for me since I’d, er, misplaced the original and have been using wired headphones for a couple of months (bleuugh – really hard to go back to). But there are more cost-conscious alternatives light this outer shell case. In fact, any rubberised cases that grip your pockets and don’t slip out of your pocket on the London Underground are still worth considering! In any case, unless you’re desperate for Siri without tapping your AirPod to initiate the interaction, and already have the standard Airpods, this provides an only-a-bit-too-expensive way to charge easily on the go. There are ever-growing numbers of built-in tables-top chargers in trains, coffee shops, McDonalds and more. You’ll certainly find life a little more convenient! Nearly perfect, just like before. An elegant device, doing exactly what is needed of it. The only reservation is the price (as ever) and the single indicator light, which would benefit from an extra shade to indicate wireless charging success. 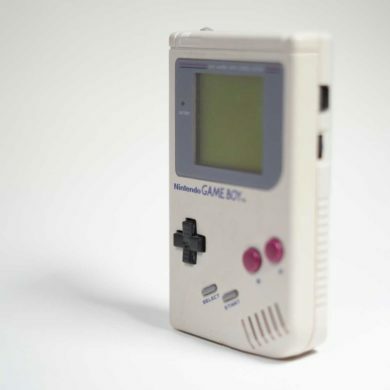 Previous The Nintendo Gameboy: Still The Best?